The moving story of a tiny community in Cambodia where children whose lives have been shattered by AIDS are cared for, educated and raised to live full lives in the outside world. The book, introduced by Dr. Paul Farmer, the noted authority on health and human rights, has its origins in articles that appeared in the Japan-based Kyoto Journal. Gutradt, a middle-aged woman living in Maine, first volunteered in Wat Opot in 2005 and returned there multiple times from 2007 to 2012. Her account is primarily about the children, some orphaned by AIDS but themselves HIV-negative, others HIV-positive who were once facing an early death but now, thanks to anti-viral medications, can survive. All live together as one large family in a nondenominational, nongovernmental center founded by an American medic, Wayne Dale Matthysse, and a Cambodian Buddhist, Vandin San. Midway through her insightful vignettes about individual children, Gutradt tells the back story: how and why Matthysse and the author came to be there, what the center means to them and how it has changed their lives. 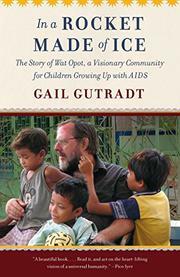 As the formerly depressed, soul-searching author puts it, “I needed to save my life.” It is worth noting that the church that once supported Wat Opot withdrew its backing when it felt that Matthysse was not being sufficiently evangelical, and now Gutradt is an active fundraiser for the center through the Wat Opot Children’s Fund. Her many photographs of the youngsters are appealing, but her warm stories generally avoid sentimentality; the needy children are not angels, and as they grow, they sometimes present truly tough problems for those concerned about their welfares and futures. Gutradt also discusses the problems created by unreliable government agencies and well-intentioned but uninformed do-gooders. A refreshing account of generous people devoting their time and energy to doing something right.